And guess what? She likes Jimmy Eat World too! In its ongoing efforts to become Taylor Swift's personal Goop, Apple Music just released a day-in-her-life ad that provides an intimate peek into how Swift gets ready to go out. The ad dropped on her Instagram with a caption flanked by telltale shout-outs (to her credit, she's not shy about her sponsors). In the ad, she dutifully chooses the right life moment from a selection of Spotify-esque Apple Music playlists ("Getting Ready to Go Out," naturally) and settles on Jimmy Eat World's "The Middle." We can't recall seeing a time when Swift wasn't already perfectly made up, down to her trademark lipstick, and this ad is no exception. Apart from dancing around in a Versailles-caliber bathroom while lip-syncing and using various makeup implements as microphones, she doesn't do much getting ready, apart from touching up her still-cherry-red lips from time to time. 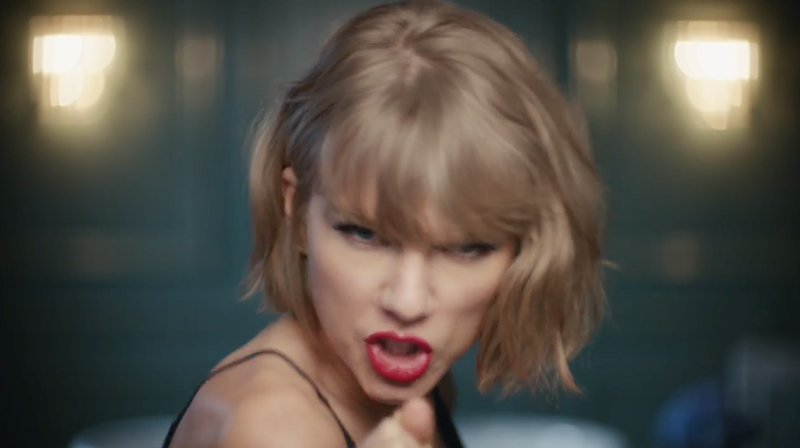 At the end, she dramatically drops the "mic," which is why this ad is handily called "Taylor Mic Drop." The piece follows the "Distractingly Good" ad, which was released earlier this month and depicts the singer/songwriter complaining about cardio before choosing a playlist that helps her get a little too into it. 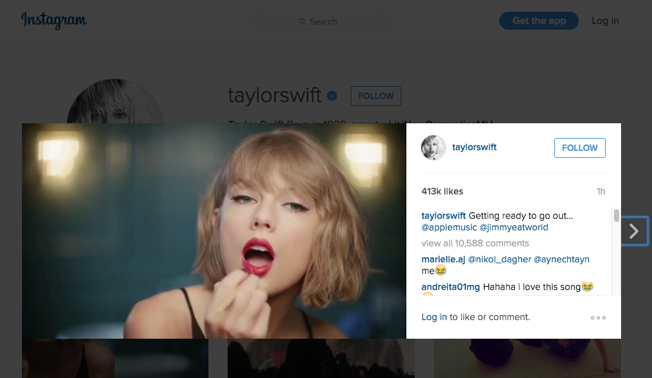 If it was a smidge satisfying to see the star fall off a treadmill, "Taylor Mic Drop" kinda reminds us why: These ads are meant to feel insider-ish, exposing a side of Swift we rarely see, including her humor and ability to let loose. But what they actually remind us of is how tightly Swift, and Apple, cultivate their brand image, all the way down to how beautifully, how inaccessibly, they "get ready." Swift in particular is painfully conscious of her appearance on camera, eyeing it (us?!) from time to time with penetrating attention, even while rocking out. And that "middle school" shout-out? It's cute, but it's also a well-chosen stab at relatability (not unlike complaining about how much she hates cardio). While we don't doubt Swift loves herself some Jimmy Eat World and hates treadmilling as much as the rest of us, the lines feel so cultivated that their delivery makes us wince. To bring things back around to Goop, this really isn't all that different from that one time Gwyneth tried selling us on her morning smoothie—which sounds innocent enough, until you discover the ingredients alone will set you back $10.52 per day, or $200 overall—depending on how you like to tell the story.